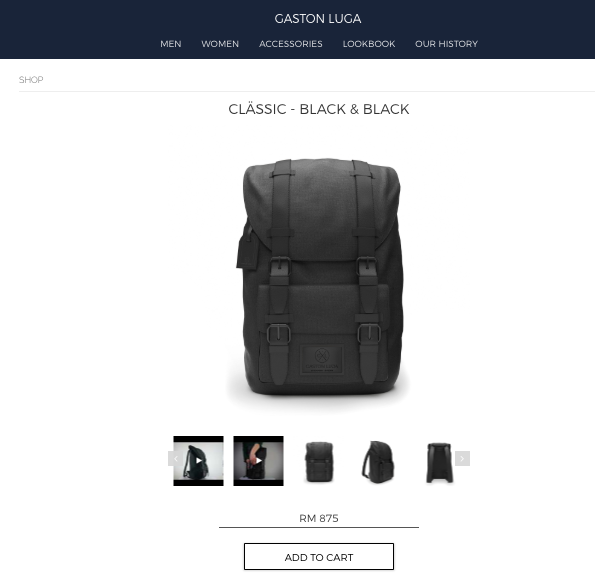 Gaston Luga is a Swedish backpack retailer located in the heart of Stockholm, Sweden. The front vegan leather straps are held by strong magnets for easy access. The Clässic is made with thick and strong cotton and vegan leather for durability and better water resistance. 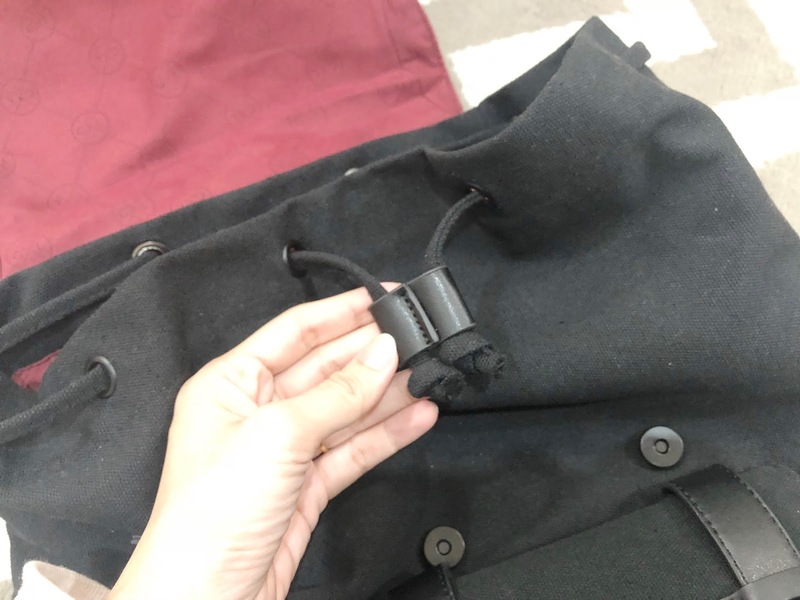 Strong durable drawstring opens the main compartment. 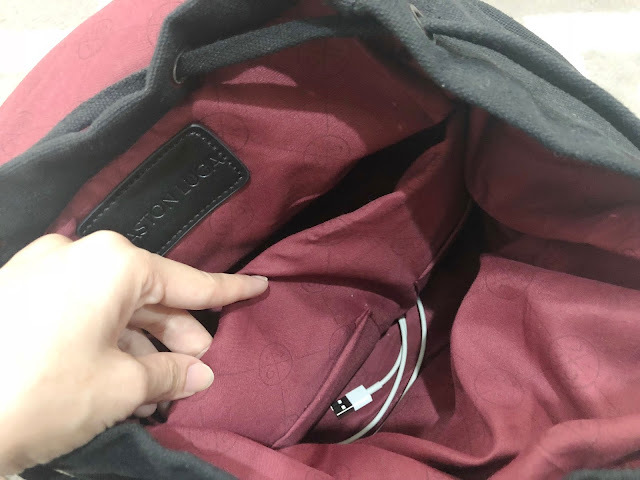 There is also an inner compartment which can hold 13-15" laptop with ease, making it a good choice for work and travel and 2 inner pockets. The inner lining is made of a soft and luxurious 100% cotton fabric. 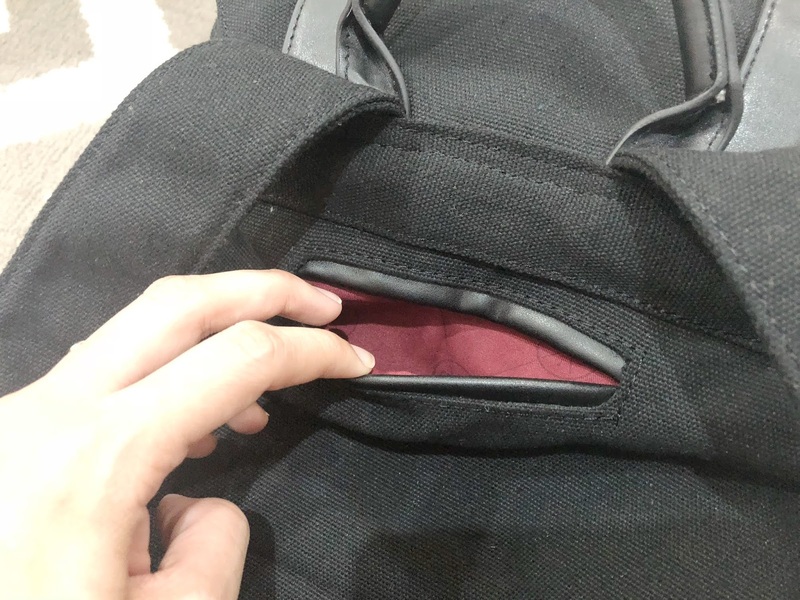 The outer zipper pocket specially designed for things needed to be easily accessible yet kept safe (i.e. 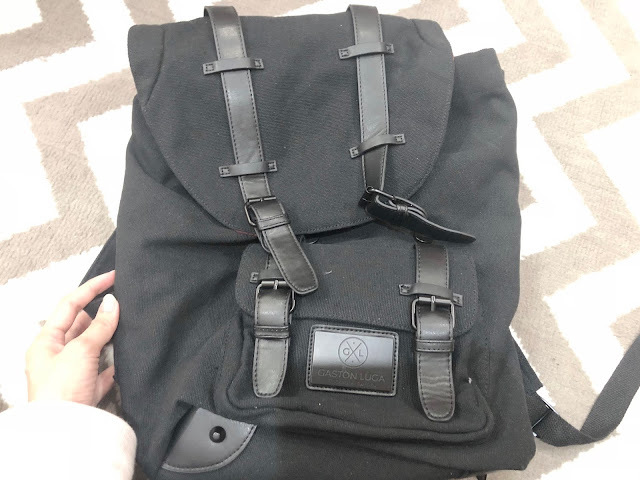 passport, cash) are also details that make the backpacks extremely practical. Based on the website, the dimensions (cm): 28 x 42 x 14. 15L. Gaston Luga is suitable for many occasions: work, travel and even a diaper bag! 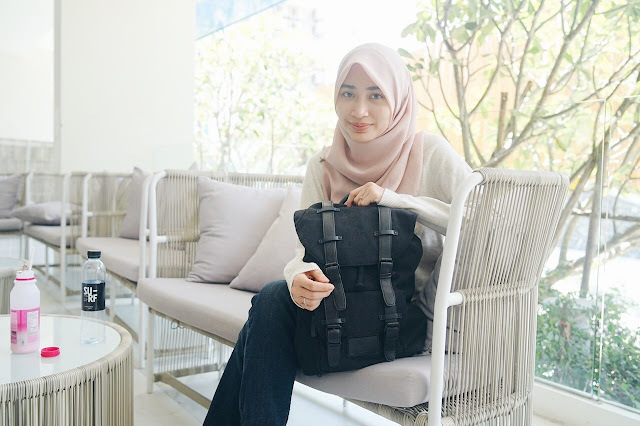 My husband uses this bag for work, we brought this bag to travel and I sometimes use this as my diaper bag since it's very practical. It would also be a perfect gift. 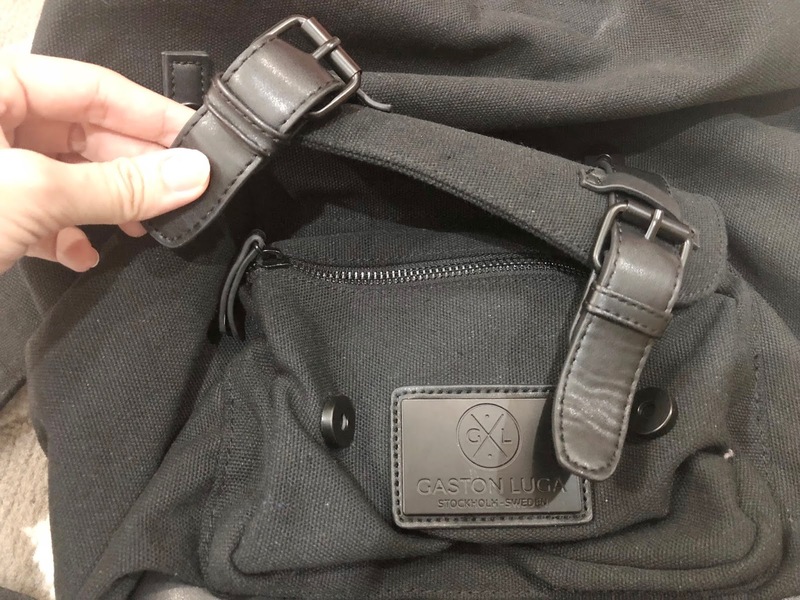 Every backpack (except Clässy Mini) comes with Gaston Luga’s signature passport pocket at the back of the backpack - where you can use to store important documents i.e. passport, cards, cash that you need to access easily while on the road. There are many models and colours to choose from, and there are options for both men and women. You'll get free shipping (DHL Express or Fedex) + 20% off as tax rebate (from non-EU country) + 15% off when you use my unique code on the remaining price after tax rebate. 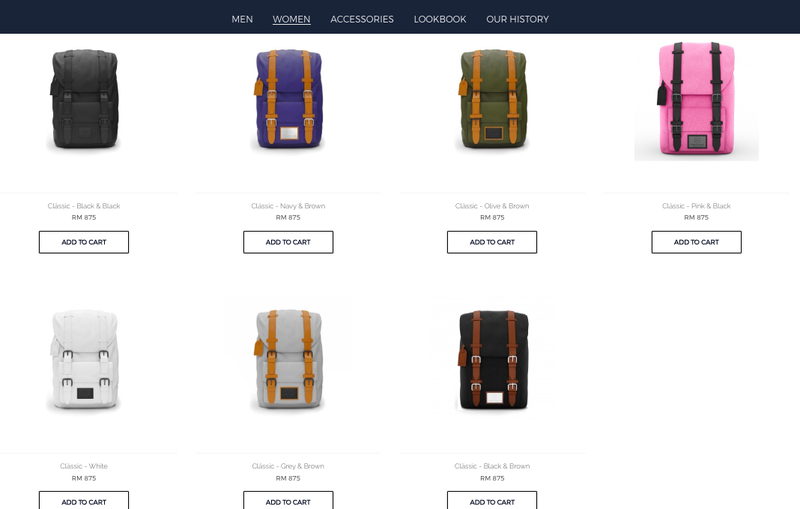 Currently, they are having a give away a canvas tote tag with every backpack purchased on our website. 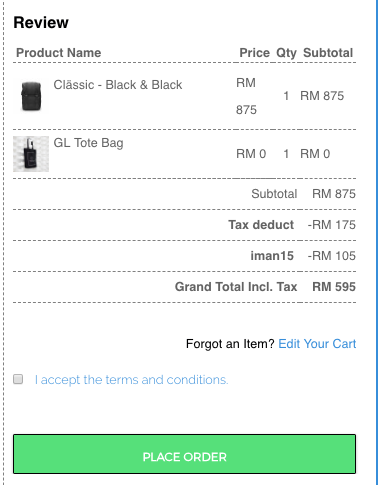 This is a very good time to purchase the bag! For every Clässy Mini purchase, 1 additional flap top will be given for free. Just go to the website: www.gastonluga.com and choose your backpack. 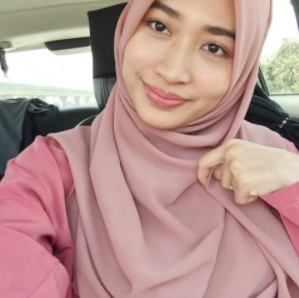 Key in the discount code "IMAN15"